Mark the day…March 23, 2016. 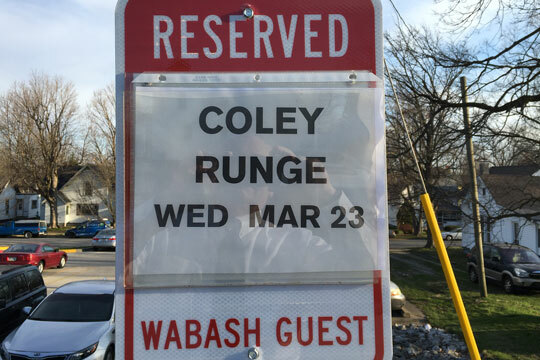 Coley Runge is visiting Wabash today. He’s a junior in high school and that makes the Grunge officially ancient. Going to go to an Econ. class and meet with the professor afterwards. He’ll have lunch at the Lambda Chi house and meet with Tyler Wade in the Admissions office before talking with Roland Morin about the Center for Innovation, Business, and Entrepreneurism. Wants to be successful in business after college.